Today I will be talking about one version of the costume of Eastern Polissia in Chernyhiw and Novhorod Sivirskij Provinces. 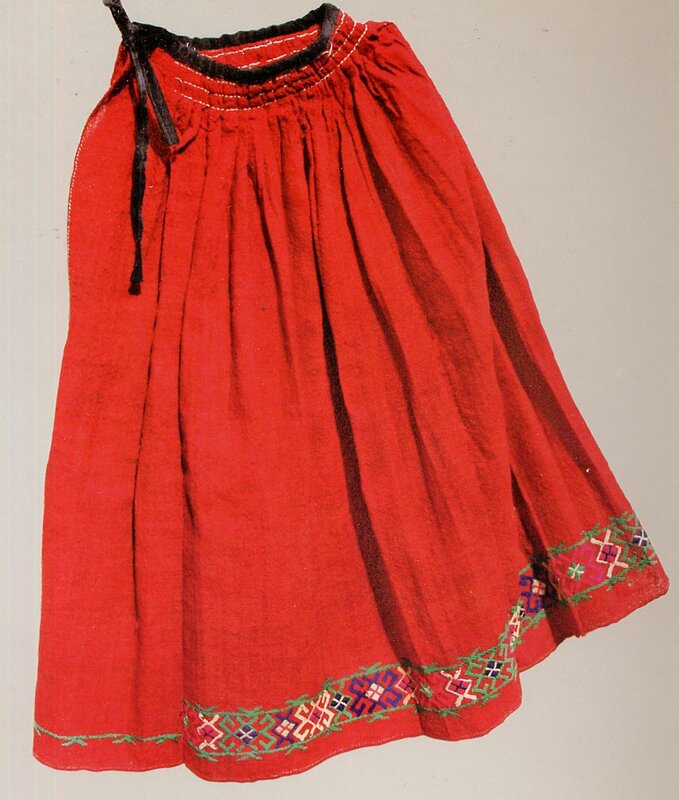 This costume falls very much within the norm of Central and Eastern Ukrainian Costume, but is traditionally worn with a skirt called Andarak. 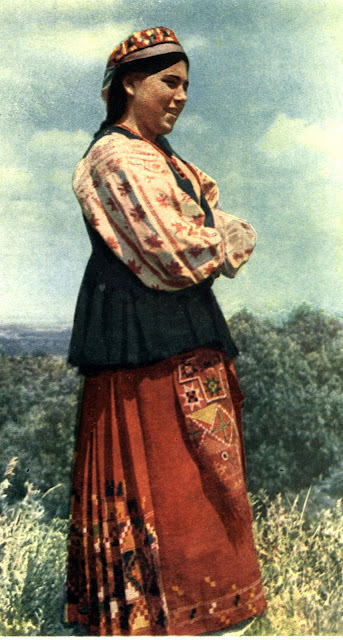 Traditional Ukrainian costumes with an actual skirt are found in the northern and the western parts of the country. 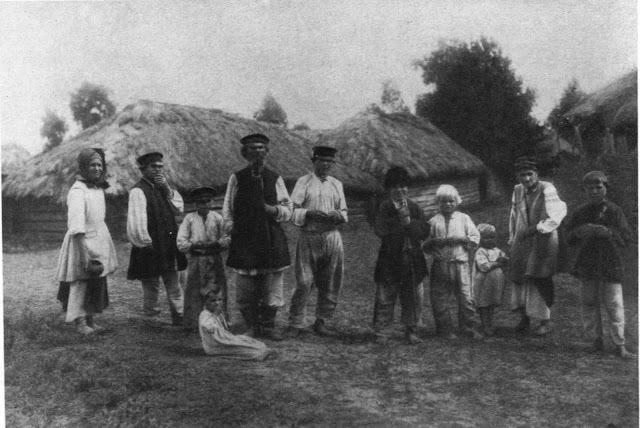 They form the 4th type of Ukrainian costume. 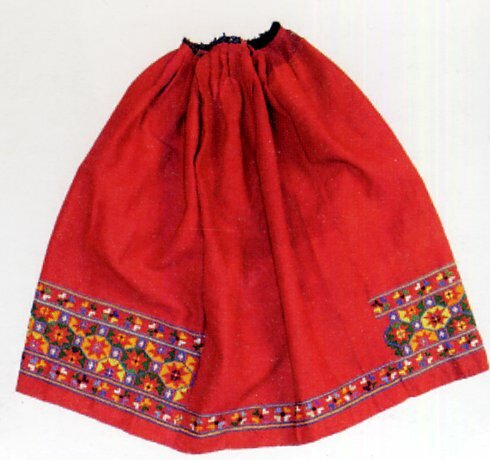 In later periods, skirts also began to replace the plakhta, obhortka, and even the double apron of the Hutsuls, because they are easier to make. 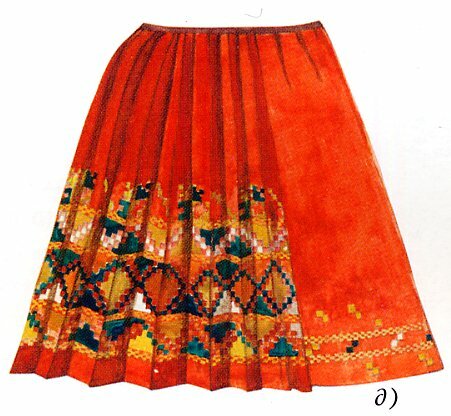 In areas of Ukraine where skirts are traditionally worn, they are known by many names depending on the type, bunda, plat, shorts, litnyk, maliovanka, etc. The andarak is a full skirt made of red wool, which lies flat in front and is gathered or pleated behind. 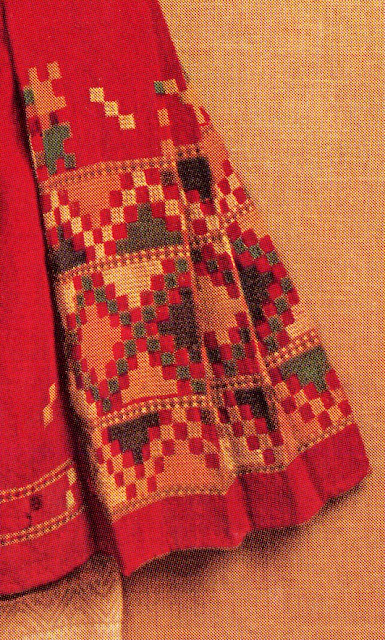 It is decorated around the hem with embroidery, usually in cross stitch of many colors. 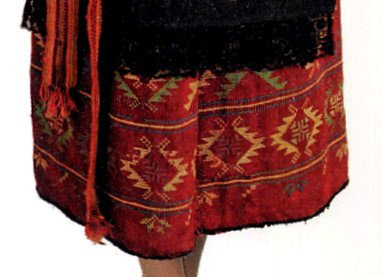 The term andarak is also used to refer to skirts in some Russian Costumes. 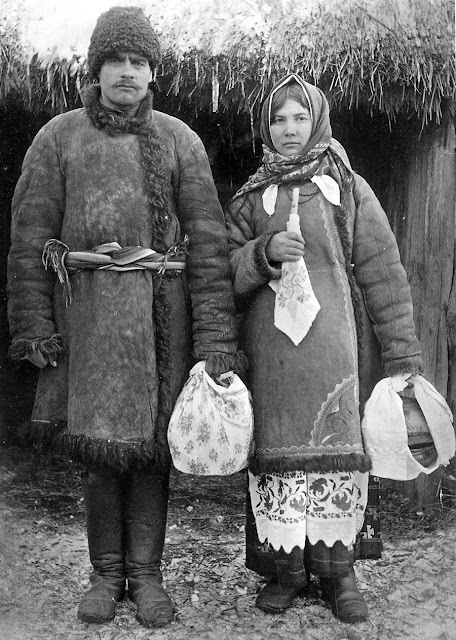 They form the third type of Russian costume, but are much less common than the Sarafan or the Paniova. These costumes are said to be worn by descendants of 'Lithuanians' which settled in Russia. Very likely this referred to anyone from the Lithuanian Empire, which also included Bielorussians and Ukrainians. 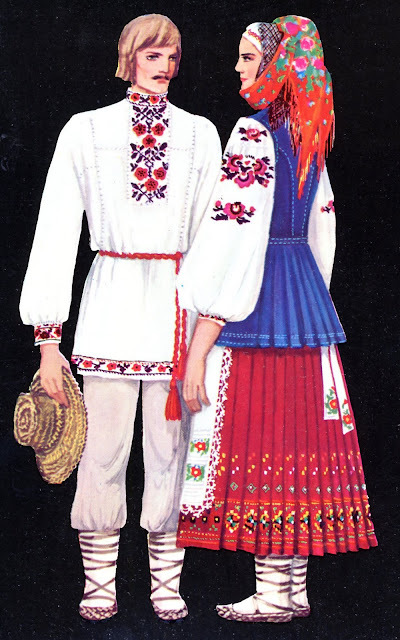 Chernyhiw costume is based on the typical Ukrainian chemise, with shoulder insets sewn on top of the body pieces, and typical regional embroidery on the shoulders, sleeves, cuffs and hem. See my last couple of articles for typical embroidery of this region. 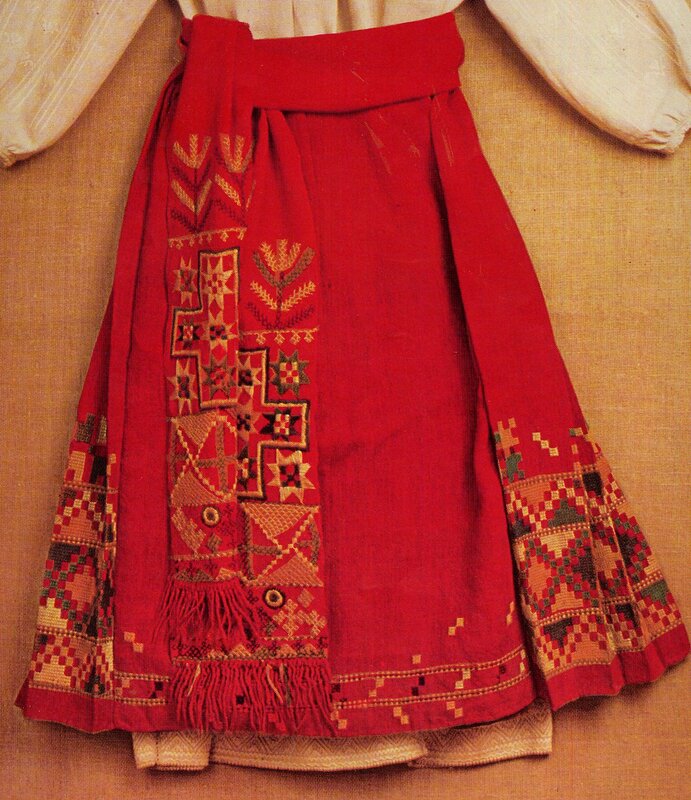 The vest, known as kersetka, is very similar to that worn in most of Central and Eastern Ukraine. This is the only region for which we have records of men wearing a similar vest. There is another garment which has a very similar cut but with sleeves. The man's version is called zhupan, and the woman's is called Yupka. This garment is widespread in Ukraine, and is worn here as well. The andarak, as you can tell from these images, is commonly worn with an apron. 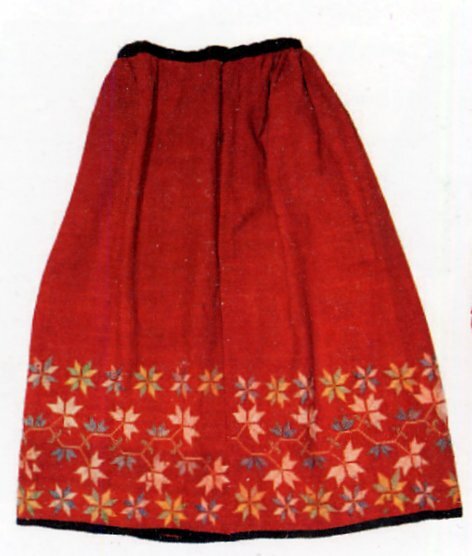 This apron may be of wool or linen, with woven or embroidered ornament. As is most commonly the case, it consists of a narrow rectangle made of one loom width of cloth, see the various images in this article. There is one famous set of garments in a Ukrainian Museum which seems to indicate that sometimes the andarak was worn without an apron, but instead with a broad, richly embroidered sash. 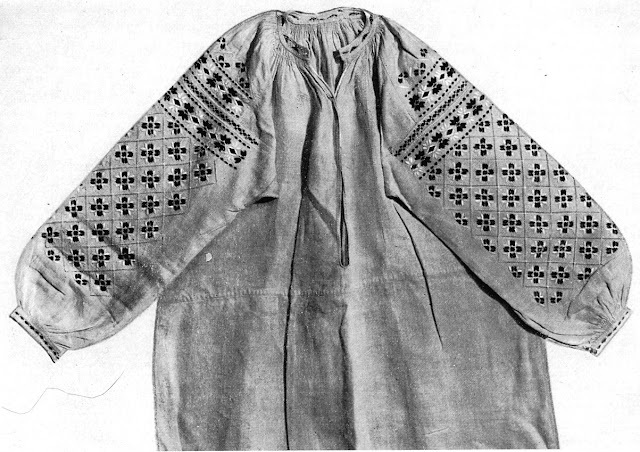 This garment is widely copied in many Ukrainian books. This garment has a narrow waistband and opens in front, or at the side of the front panel. It is flat in front, and gathered or pleated on the sides and back. It seems to always be red. 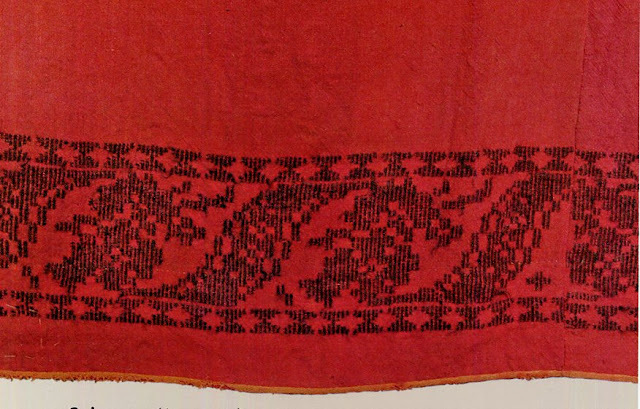 The andarak is embroidered on the hem. Typically there is a narrow band which continues all the way around, and a wider design which is only worked on the parts which are not covered by the apron. The embroidery typically is of large cross stitch or counted satin stitch in white, yellow, orange, green, black, and sometimes other colors. For the actual designs used on the andarak, you may click on the various images for a closeup. Here are some more designs which were embroidered on this garment. 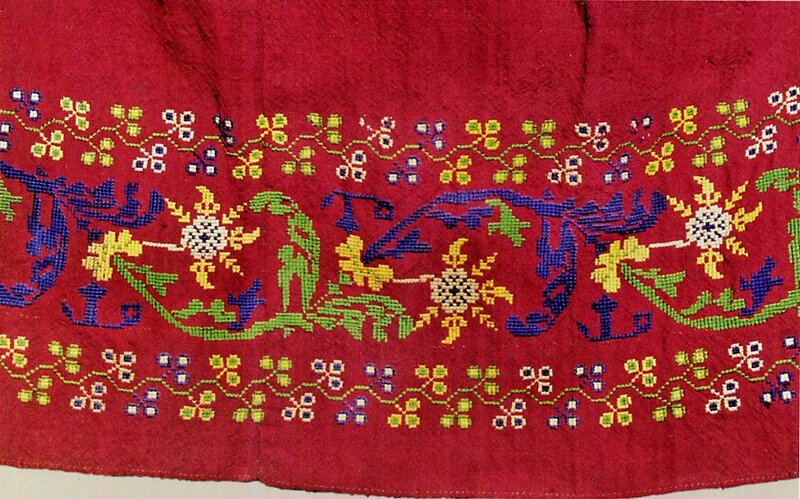 The embroidery is usually most visible from the rear. I will close with a couple of historical photographs of people wearing this costume. 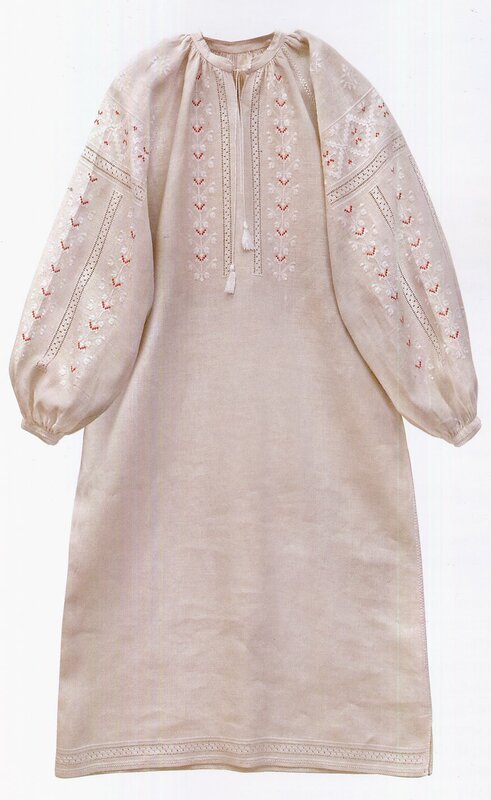 You can just see the embroidery on the hems of the andaraks. Thank you for reading. I hope you have found this informative, interesting, and maybe you have an idea to embroider a skirt or use these designs in another way. 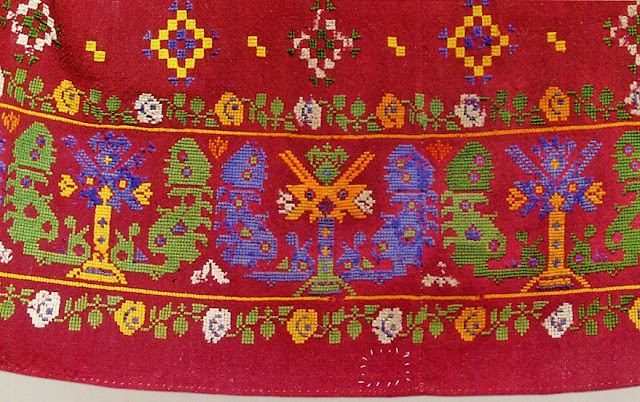 Make the world more beautiful with unique handwork. Scrolling through and appreciate how the collected material is presented. Looking forward to more. Wonderful wonderful things! Thank you!